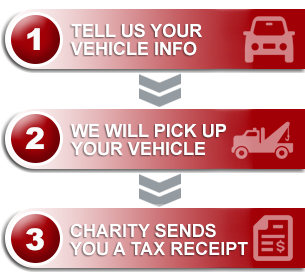 My whole experience with Donate-a-Car Canada has been fabulous! (My first contact) was cheerful, friendly, & most helpful in tracking down the donation process- as there were two owners of the vehicle & we were trying to half the donation between them. She was always quick to respond to my queries. (The towing agent) was also wonderful – they were very timely in their response time & arrived on time when they picked up the car & were also helpful in taking stuff out of the car that belonged to the owner. I’d forgotten to check what needed to be taken out, so was grateful for their help. All the folks involved with Donate-a-Car have been friendly, helpful & supportive. I would highly recommend you folks to anyone who had an old vehicle to dispose of.